Killer Characters: “Happy” Halloween. As if. From the trembling hand of Jordan Bingham, last seen sleuthing in the book collector mysteries by Victoria Abbott and back soon in The Sayers Swindle. I know some people love when October rolls around and Halloween decoration start to appear in shop windows and on front lawns, but for me, Jordan Bingham, it awakens a fear in the depths of my soul. I am not afraid of ghouls, ghosts, vampires, werewolves or monsters, for they are no match for…Uncle Kevin. Uncle Kevin proclaims himself a Halloween Guru, and every year tries to “top himself” with a trick. On the years where this failed miserably, we had to deal with a moping, sad sack of a Guru and on the years that he “succeeded”, there was a marked rise in alcohol consumption for a two-block radius. Kevin was a teenager when I came to live with Uncle Mick and Uncle Lucky and Kev. He was under the impression that children liked being frightened. He thought the whole point of Halloween was to get so scared you nearly wet your costume and I was the little girl who slept down the hall. In some sort of misguided attempt to make me feel accepted, Kevin systematically terrorized me every October for 10 years. He dressed as a clown and hid under my bed, released a tarantula into my bathtub, and burst out of my closet with a running chainsaw. He dressed as Jason, Freddie Krueger, Michael Myers and one truly unfortunate night, he was Carrie. Each and every time he sent my tiny little kid heart nearly crashing through my chest. I lived in fear. Some of Kevin’s outdoor stunts, such as the Molotov pumpkins, have resulted in new bylaws here in Harrison Falls. Neighbors have moved out in huffs; police have been called; any number of things have been candied and/or blown up, but nothing can stop Kevin. He’s an unrelenting scaring machine because he loves me. And I’m grateful now, because I’m pretty hard to rattle. I know he helped frighten me into the woman I am today. 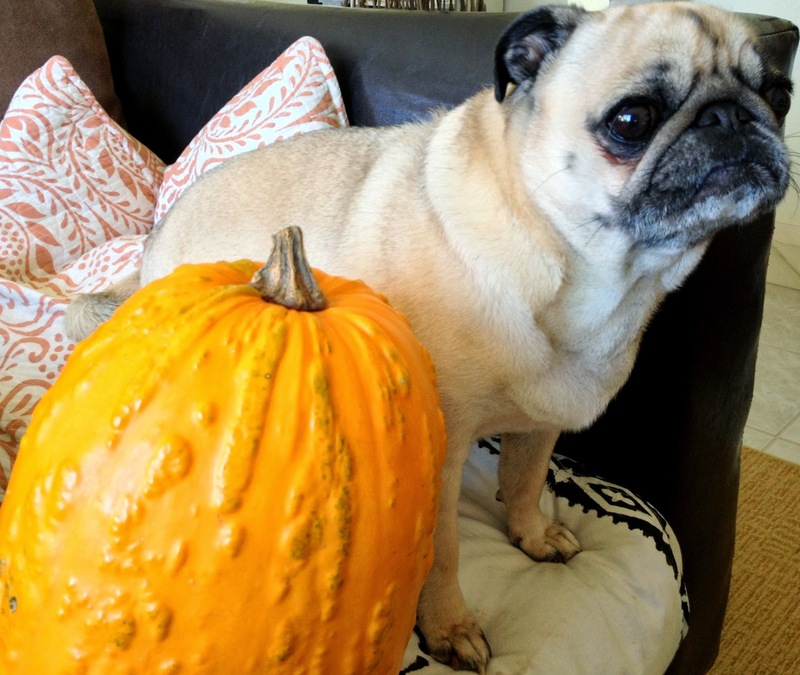 He even gets poor Walter the Pug in a twist about Halloween, Walter can't even trust pumpkins anymore.. Oh Kev. 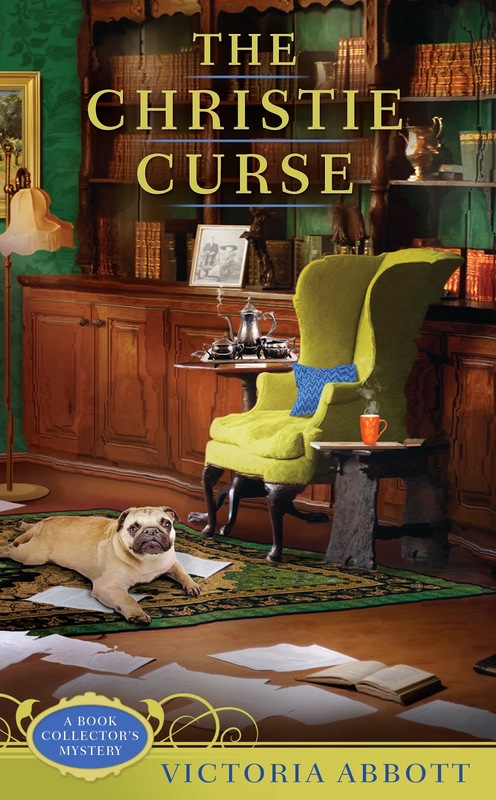 If you don’t believe me, pick up The Sayers Swindle when it comes out December 3, 2013 and see for yourself what Kevin can bring to a lovely little cozy. Be very afraid. And don’t forget to offer me some good advice. Always glad to get it. Victoria Abbott is a collaboration between Victoria Maffini and her mother, Mary Jane Maffini. 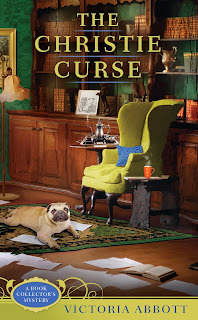 The Christie Curse, their first book collector mystery, launched in March 2013 and The Sayers Swindle, the second in the series will be out in December. Please let them know how you like the cover! Be brave! 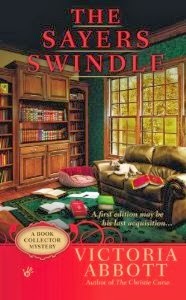 Check the book trailer for The Sayers Swindle. There are lots of ways to reach Victoria and MJ. Sign up for their newsletter at www.victoria-abbott.com. You'll find contests, draws and fun as well as book news! Whatever else, tell them you love Walter the pug! We have never trusted pumpkins, and we're not about to start. We need a support group, Sally-Forth and Tally-Ho. But will Walter need an extra part to his name? Walter-Up?